Vinho Verde, is a wine that is unique to Portugal. Our love of Portuguese wine comes from the simple truth that Portugal offers so many different flavours and varieties – over 400 varieties of indigenous grapes! With such a fantastic array of varietals, Portugal is without doubt the most exciting country for those looking to have new experiences when drinking wine. The flavours of the grapes and the qualities that they bring to the wine mean that people drinking Portuguese wine can experience wines of character that cannot be found elsewhere. Nothing embodies this more than Vinho Verde. Literally translated, Vinho Verde means Green Wine but the meaning is in fact Young Wine. 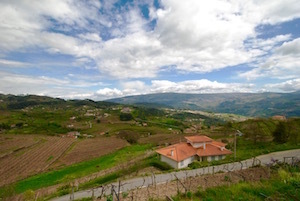 The Vinho Verde region covers a large area of the North-West of Portugal; it stretches along the Atlantic coastline to the west until it reaches the Spanish border to the North. The climate in this part of Portugal is cooler and there is more rainfall. The region is perfect for the production of light, fresh wines that can be enjoyed on a hot summer’s day. Typically reasonably low in alcohol and with a very slight effervescence, the wines produced in the Vinho Verde region are ideal companions for an enjoyable lunch. The key varieties of grape used in the production of Vinho Verde are Alvarinho, Arinto Avesso, Azal, Loureiro and Trajadura. 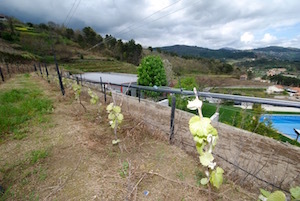 Of the grape varieties Alvarinho is of particular note; it was one of the first varieties of grapes to be bottled as a single varietal and it is the most renowned of the grapes of the region. 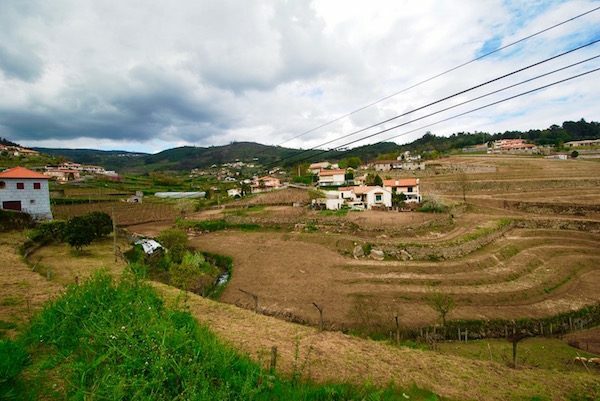 Alvarinho is not only of importance because of the fantastic character that it gives to wine but also because the wine producers are able to make a wine that is higher in alcohol if they use Alvarinho grapes from the Monção and Melgaço sub-region of Vinho Verde. In order to ensure consistency of the produce, alcohol levels are typically restricted for Vinho Verde wines to no more than 11.5%; Vinho Verde Alvarinho is an exception to this rule as the intention is to recognise this special grape and to allow a richer wine to be produced to bring out the full character of the grape. 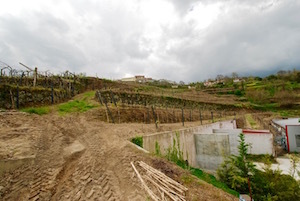 The group responsible for controlling standards of wine production in the Vinho Verde region are the Comissão de Viticultura da Região dos Vinhos Verde (CVRVV); they were set up in 1926 and the Vinho Verde Denominação de Origem Controlada (DOC) was established in 1984. 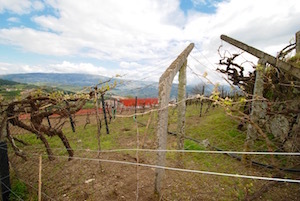 By defining the region as a DOC, the quality of the wine produced in the region can be controlled. For wine to qualify as DOC wine, it is necessary for the production methods to comply with various requirements of the region. These requirements include, restrictions on permitted grape varieties, regulation of maximum yields, restrictions on alcohol content, and the regulation of time periods for the ageing of wine. Furthermore, it is necessary for producers to provide wine samples to the regulators in order ensure that the produce does comply with all of the necessary standards. Wine that does not comply with this standard is termed as Minho Regional Wine, but that does not necessarily mean that the wine is of a poorer quality. Many growers in Portugal do not like to be constrained by regulators and use the Regional Wine tag to escape the confines of DOC status. This often means more experimentation, especially with non-native grape varieties and styles. 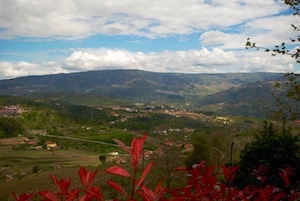 Although most people will only associate Vinho Verde wines with the light, refreshing white wines; there are also some very interesting rosé wines and red wines produced in the region too. Like the white wines, these are typically very light but they bring different, thoroughly enjoyable flavours to the palette and we urge you to try them.